This no-bake, easy chocolate bark recipe features Pistachios, Almonds, Sea Salt, and a hint of Coffee! The result is a decadent yet easy chocolate bark, delivering an irresistible combination of sweet & salty crunch- all with no oven or baking required! We recommend you make this easy chocolate bark recipe for anyone you may have recently upset. 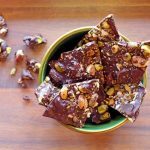 Scientifically proven to melt anger away by its taste alone; a revolutionary neurological advancement that is not yet fully understood, this easy chocolate bark recipe is changing lives one small bite at a time. Forgot to pick the kids up from school? …For the third time this week? Hubby won’t care a bit if you apologize with these bad boys in hand. Plus, with the kids at home and not stuck at school totally forgotten about, he would have to share his chocolate bark with them. So not only will he forgive you, he will also thank you, and ask you to do it again sometime soon if you don’t mind. Hard to believe, we know, but science is trippy stuff. Ok. SHOCKING CONFESSION TIME: Every single thing we just wrote was completely made up, sorry. Except for the very first part, which is, “We recommend you make this easy chocolate bark recipe”! How easy, you ask? We are talking “under 10-minutes, no-bake” kind of easy. 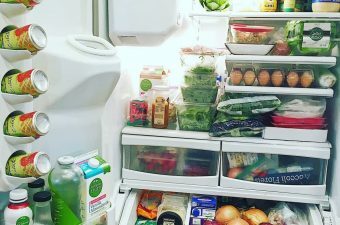 Here’s what to buy and how to make it! This chocolate bark is so easy that it literally doesn’t even need a recipe. You can use any number of toppings and ingredients as mix-ins; we simply used what we had in our pantry. Plus we are totally hooked on those Ghirardelli ‘Sea Salt Soiree’ squares, so we stuck to the sweet/salty that we love so much. Next time, we are going to experiment with adding flaked coconut. But to get you started, we will tell you what we put in our version, which can serve as a guideline/template for almost any chocolate bark you can dream up! This is fully customizable and oh so easy. Microwave chocolate squares in 25-second intervals, stirring between each, until almost smooth. Remove. Evenly spread chocolate mixture onto baking sheet lined with parchment paper. Top with remaining HALF of chosen ingredients. Do not stir. Cover baking sheet with parchment paper. Let set for 2 hours in refrigerator. 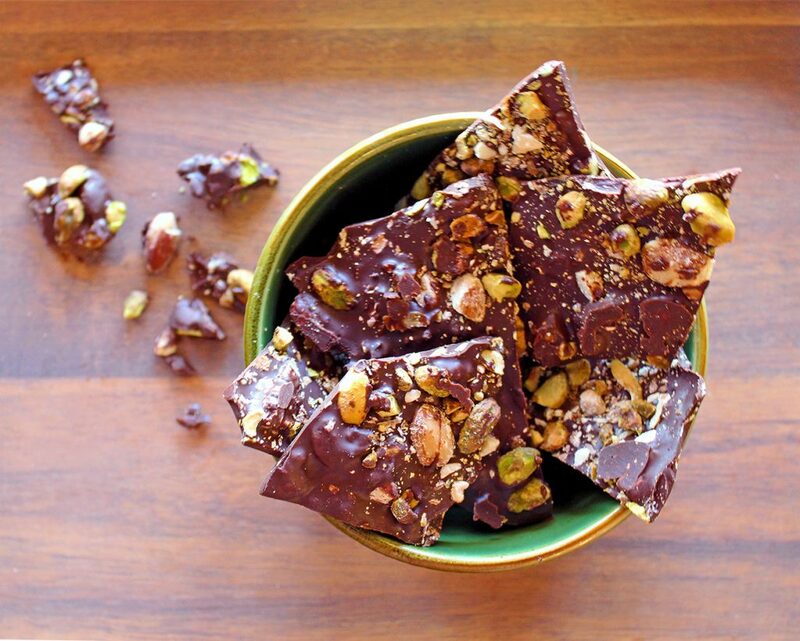 Break chocolate bark into pieces. This no-bake, easy chocolate bark recipe features Pistachios, Almonds, Sea Salt, and a hint of Coffee. The result is a decadent yet easy chocolate bark, delivering an irresistible combination of sweet & salty crunch- all with no oven or baking required! Break each chocolate baking bar into squares. Place baking bar squares in large, microwave-safe bowl. Microwave for 25 seconds, stir. Continue in 25-second intervals, stirring between each, until only small lumps remain. Remove, stir again until smooth. Add 1/2 cup pistachios, 1/4 cup almonds, 1 tsp ground coffee, and 1/4 tsp almond extract. Stir well to fully coat/combine with chocolate. Line a large baking sheet with parchment paper. Spread chocolate mixture evenly onto baking sheet, using a rubber spatula. Top with the remaining 1/2 cup pistachios and 1/4 cup almonds (do not stir). Sprinkle remaining ground coffee (1 tsp) and sea salt (1/2 tsp) on top of chocolate bark. Cover baking sheet with another piece of parchment paper and place in the refrigerator. Let set for 2 hours, then break the chocolate bark into randomly-sized pieces. Enjoy! This easy chocolate bark recipe is HIGHLY adaptable, and can be customized using any ingredients or flavor profile that you wish. 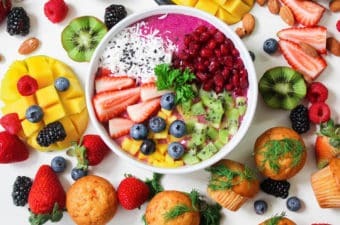 Simply follow the recipe steps outlined above, substituting your chosen ingredients/toppings/mix-ins (in place of the pistachios/almonds/sea salt). We used almond extract instead of vanilla extract here, simply to play up the almonds already in our version of chocolate bark. If your version of this easy chocolate bark recipe will use a different ingredient/flavor combination which does NOT include almonds, we would recommend using 1/2 tsp vanilla extract instead. SO easy!!!! This will be my new go-to for an easy way to impress at a dinner party or potluck. The taste is very decadent and I will be using this recipe over and over in the future.